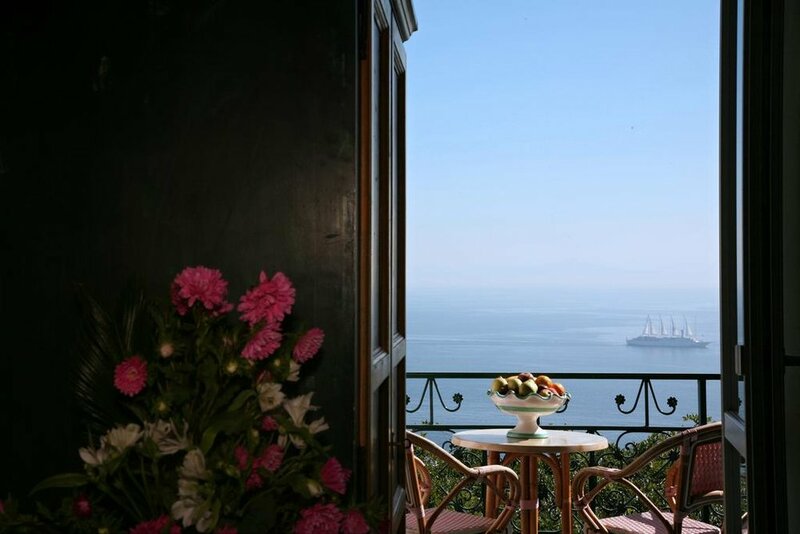 FORM+FLAVORS - Spend a week in the show-stopping Amalfi Coast overlooking the sea! 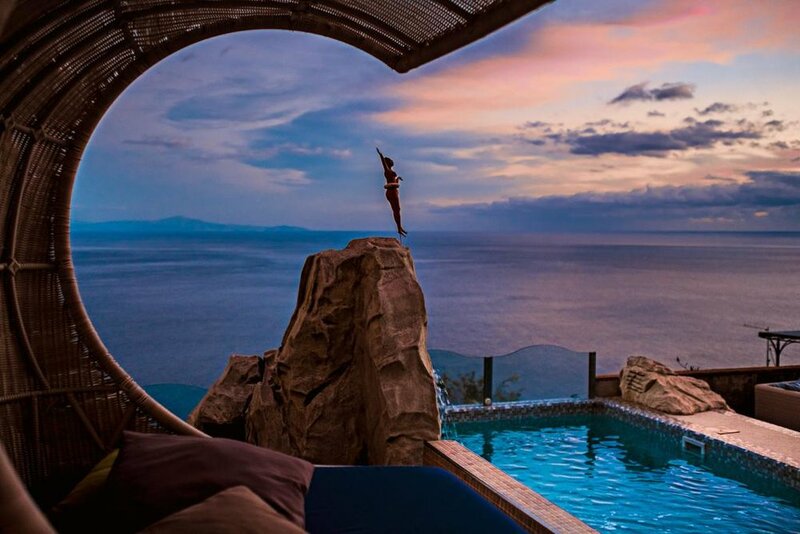 A week filled with daily yoga, outdoor fun, plus a food-focused itinerary in the land of mouth-watering cuisine + wine! Join us for our newest addition of a YOGA + FOOD retreat. 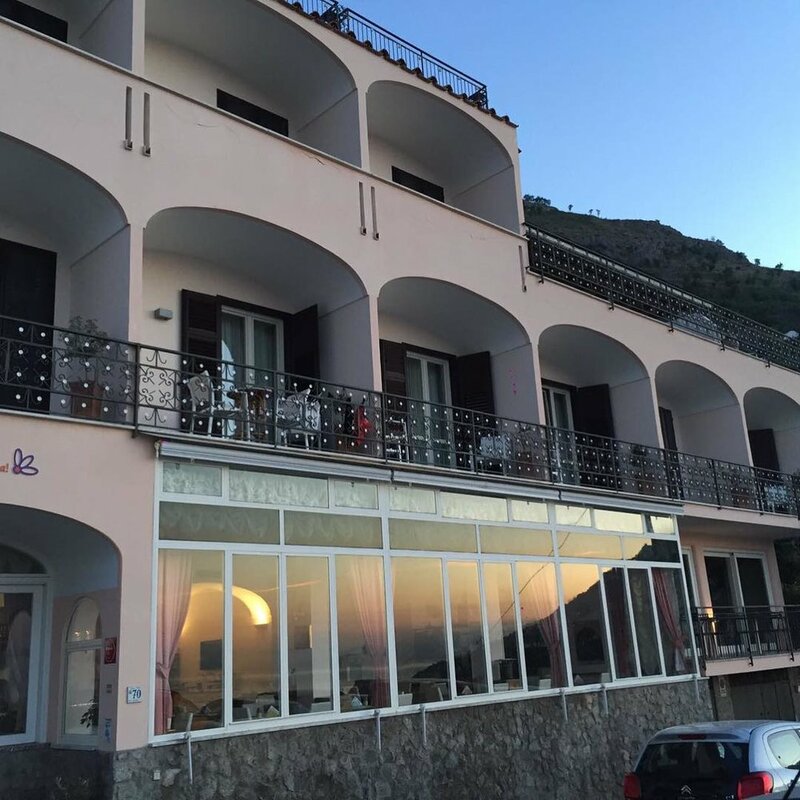 "FORM" - Besides a daily yoga class (and on this Amalfi retreat, it will be a class overlooking the sea! 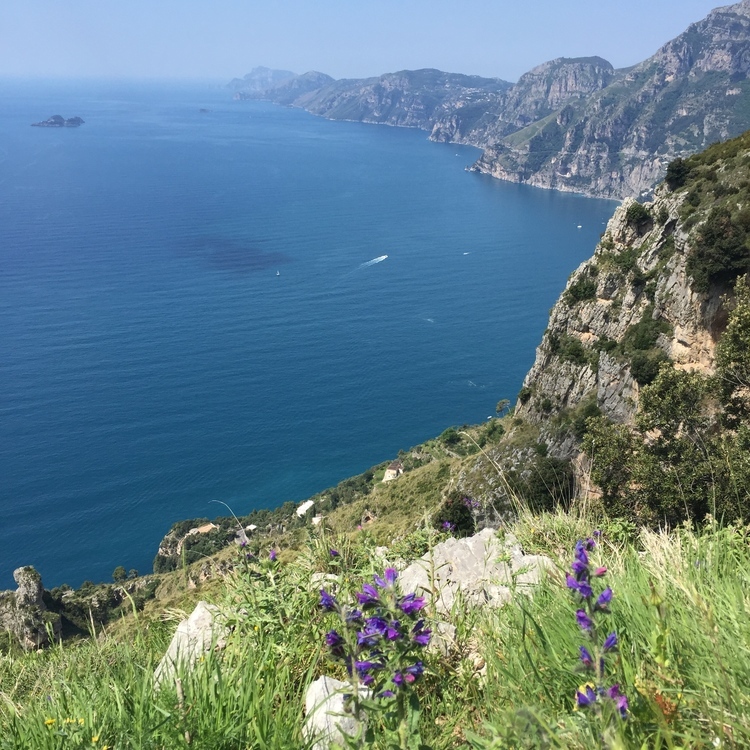 ), we will also enjoy many walks/hikes around the breathtaking scenery on the Amalfi Coast, as well as a day walking one of Italy's most renowned scenic hikes, the "Sentiero degli Dei" and several other lesser known paths in the area. A meditation walk will be included in the week as well. "FLAVORS" - We'll not only balance the week with the healthy "form" part of the retreat, but also with learning about and experiencing firsthand the amazing flavors of this region. 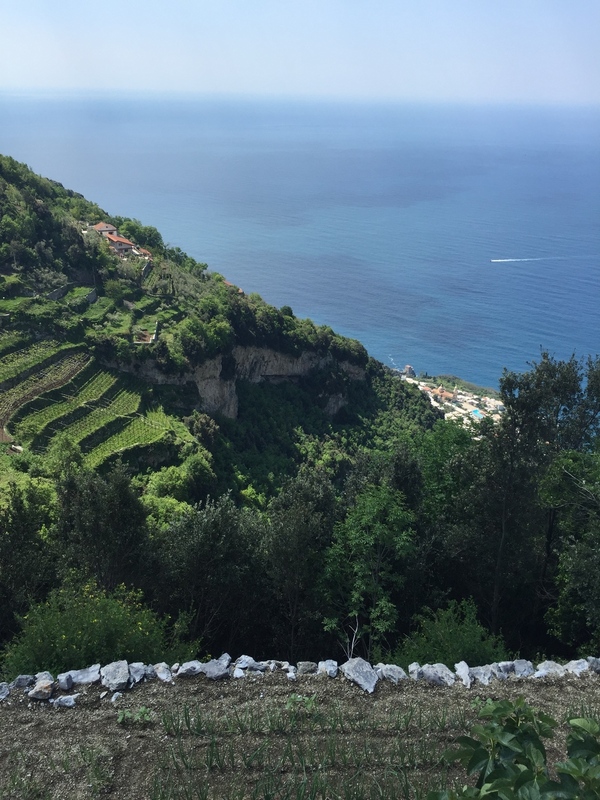 Each day we'll be able to enjoy mouth-watering cuisine, as well as take part in tastings from wine and olive oil, to cheeses, pastries, and lemons. From award-winning restaurants to family farms and kitchens, learning and enjoying the food will be an added bonus to working up an appetite during our classes and walks! 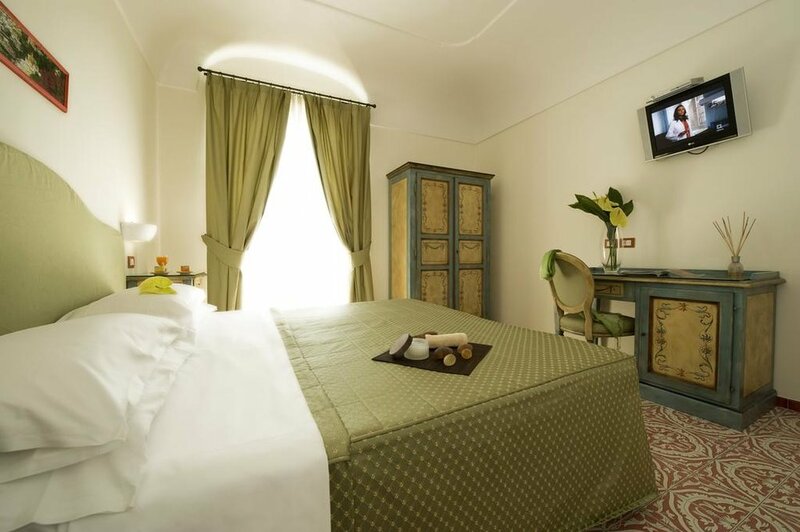 Our home for the week will be an amazing hotel in the beautiful town of Praiano. 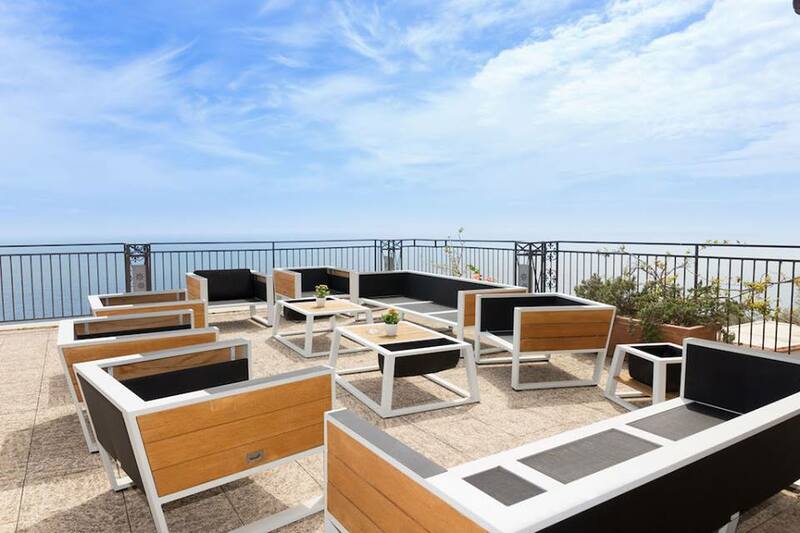 The hotel boasts a wonderful terrace with a panoramic view, equipped with a swimming pool and a restaurant, at the tables of which you will be able to taste the delicacies of the cuisine surrounded by the intense colours of the hills and the sea. 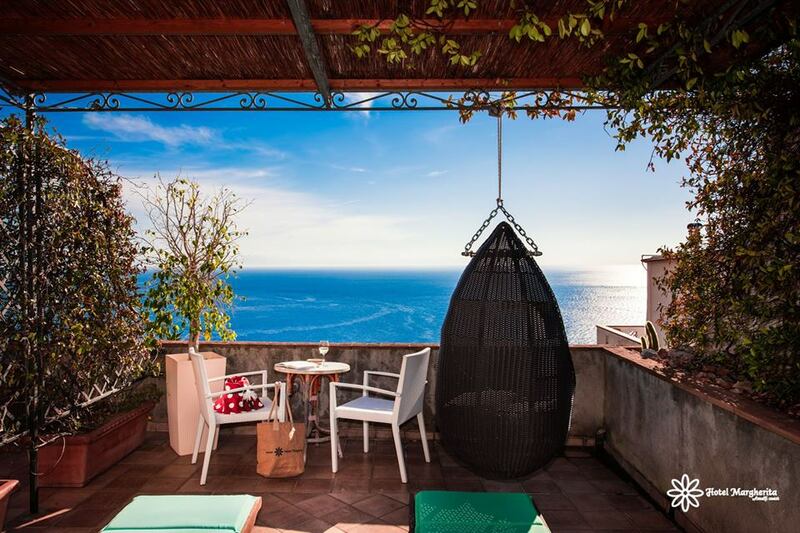 From the pool terrace there are incredible views of the sea, the coast and the islands of Li Galli. 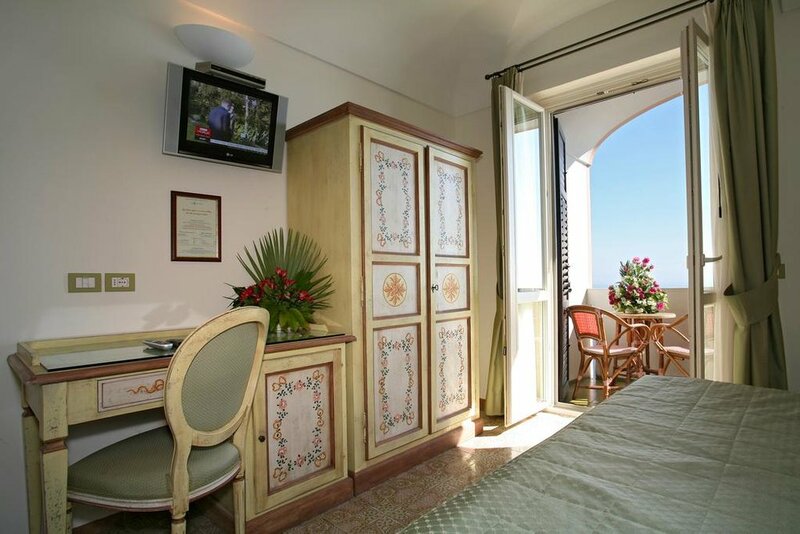 Plenty of sun loungers, citrus trees, and a short walk to the beach, our home for the week will make you want to stay much longer. 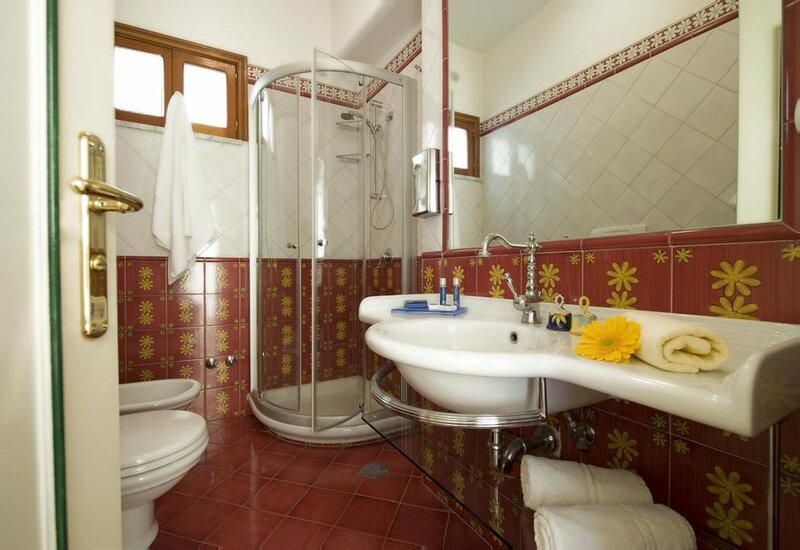 All rooms have a balcony, overlooking the sea or the garden, with classic Amalfi décor, traditional furniture and majolica tiles. 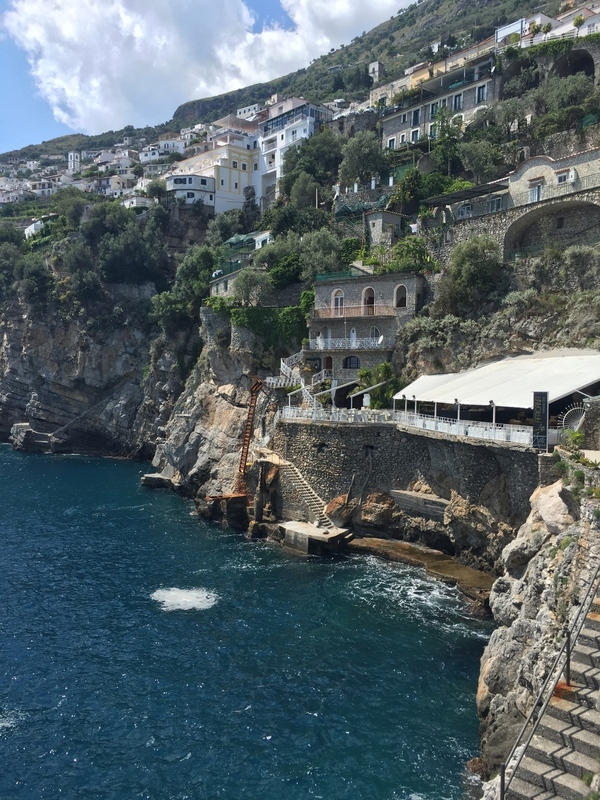 Praiano is one of the favored towns on the Amalfi coast for it's location and proximity to the more popular tourist-destinations of Positano and Amalfi, but without the bustling crowds. Flanked on both ends by some of the coast's most amazing coves, this town is the perfect place to retreat! Our day trips will allow us to experience the many unique landscapes and activities that this area has to offer. 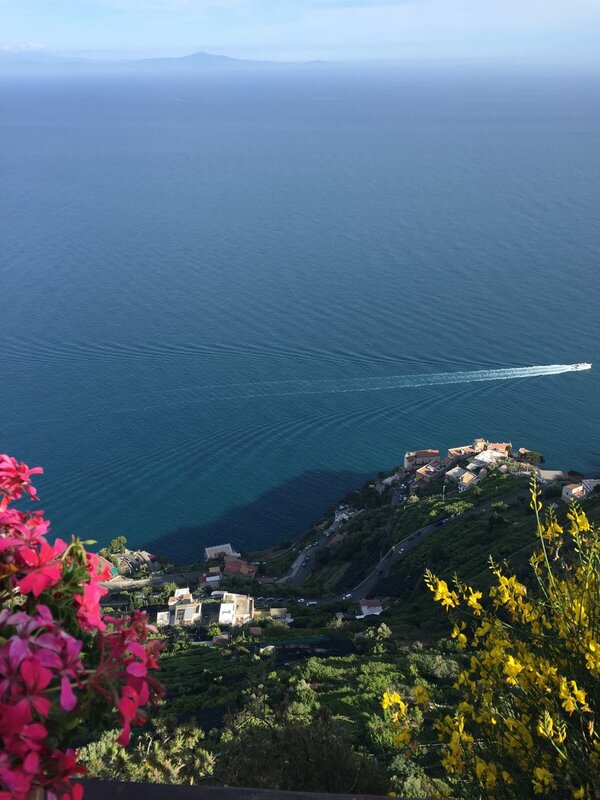 We will begin our week with a lemon tour + cooking class, as well as a tasting of the region's famous mozzarella - both while visiting the famous nearby towns of Ravello and Amalfi. 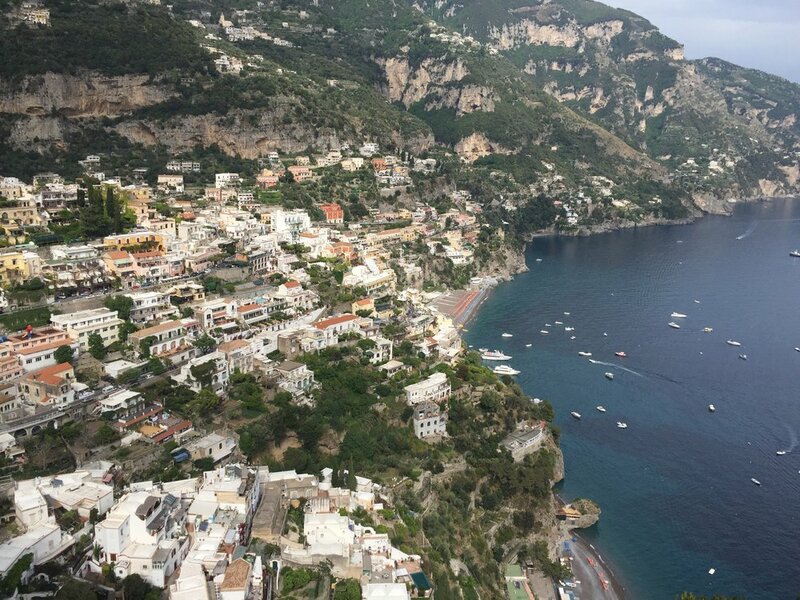 We'll take a daytrip by private boat to the nearby island of Capri to see the chic sites of this beautiful "blue island" and visit a winery with a tour and tasting of the wines that hail from this region. 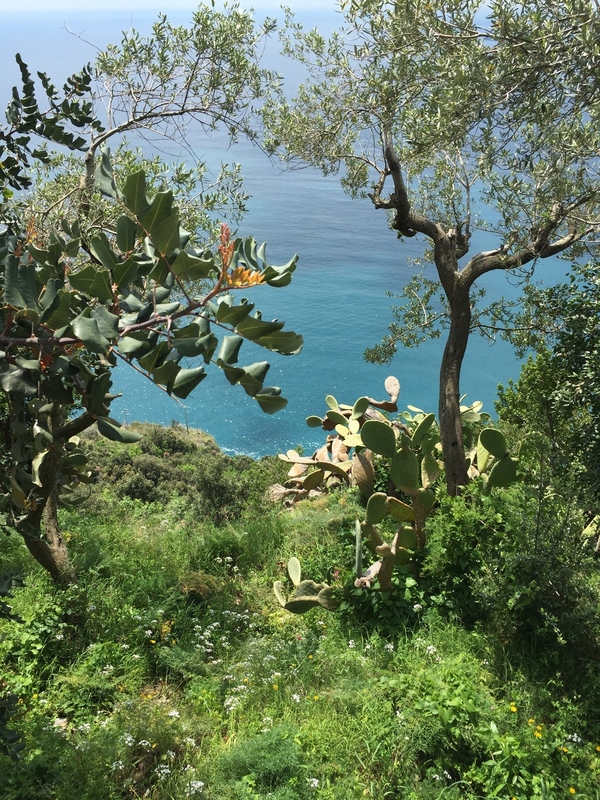 Others days will be filled with time to relax by the private pool and nearby beach, as well as a hike on the Sentiero degli Dei, one of Amalfi's most famous paths on our way to Positano for a lunch. We'll end the week with a day at a 5* spa being pampered with treatments and time to relax before ending the week with another scrumptious meal. Healthful, vegetarian food is part of the retreat experience, including breakfast and dinner daily, as well as selected lunches. We've carefully chosen delicious and fresh meals from renowned restaurants and chefs which will give guests an expansive experience of the cuisine. Our dinners will include a few multi-course tasting menus as well as tastings of the regional specialties throughout the week. We'll experience tastings from where certain local delicacies are produced, like rocky vineyards and small family kitchens. 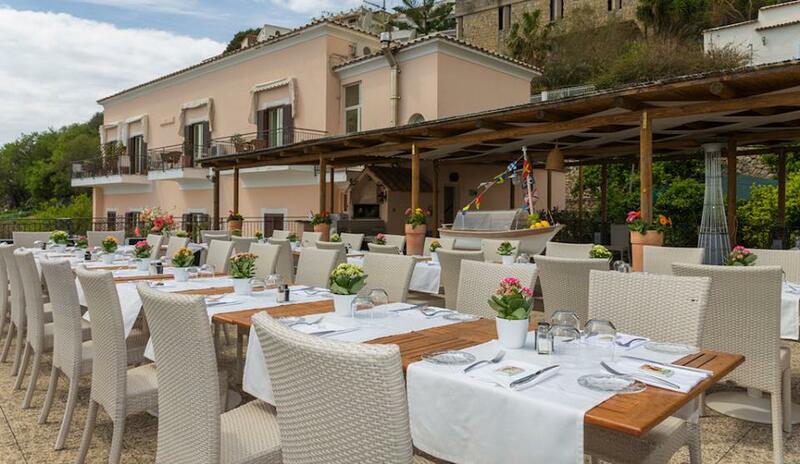 And while on-site we'll dine in the hotel's dining room or outside sea-view terrace. 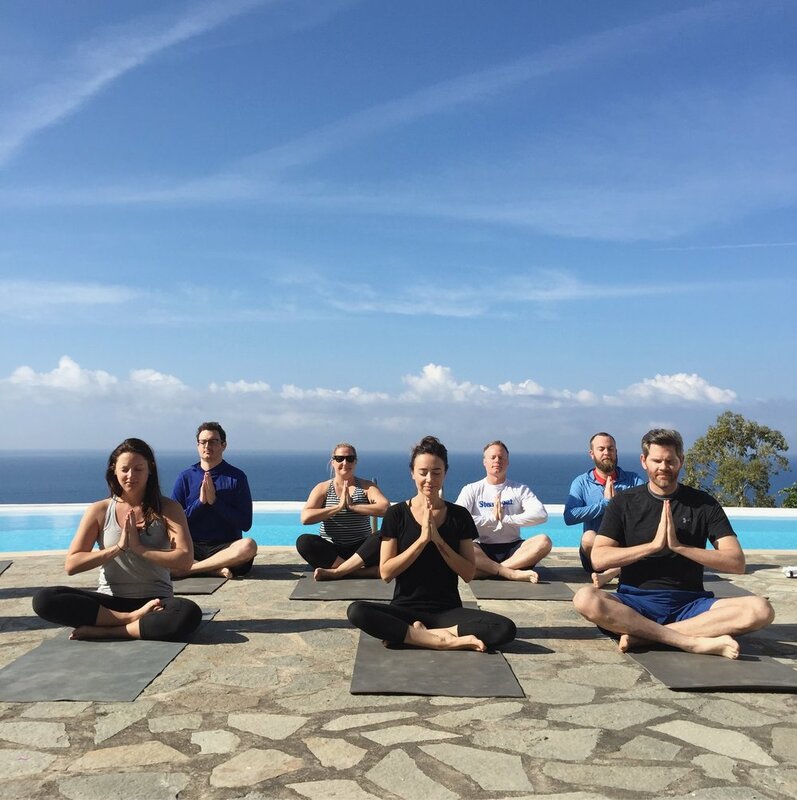 A daily meditation and yoga class will be offered at the start of the day in a way to relax, stimulate, and help guests grow in their own personal practice. Classes are open to all levels, beginner to practiced, and can range from gentle, restorative, and more vigorous vinyasa flow and ashtanga styles. * Style and class levels will be determined and moulded to fit participating students' needs, and with a small intimate retreat class size, students will be able to get personalized attention and comfortability to deeply explore their practice. 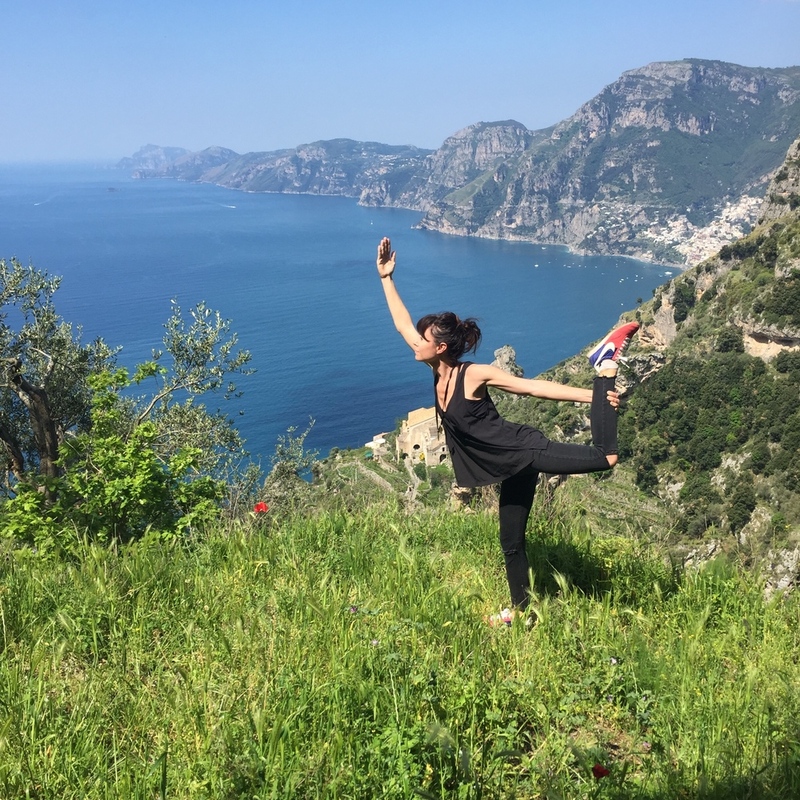 On this FORM+FLAVORS retreat, the other time of the day we'll enjoy various walks around the area, and focus on classes and experiences to learn about the region and the cuisine/wine - this combines with the asana practice to deepen our mindful experience during the week in a balanced way. Group transfer provided from Naples on start/end day of the retreat. Rome is an easy train ride to Naples and details/recommendations will be provided.